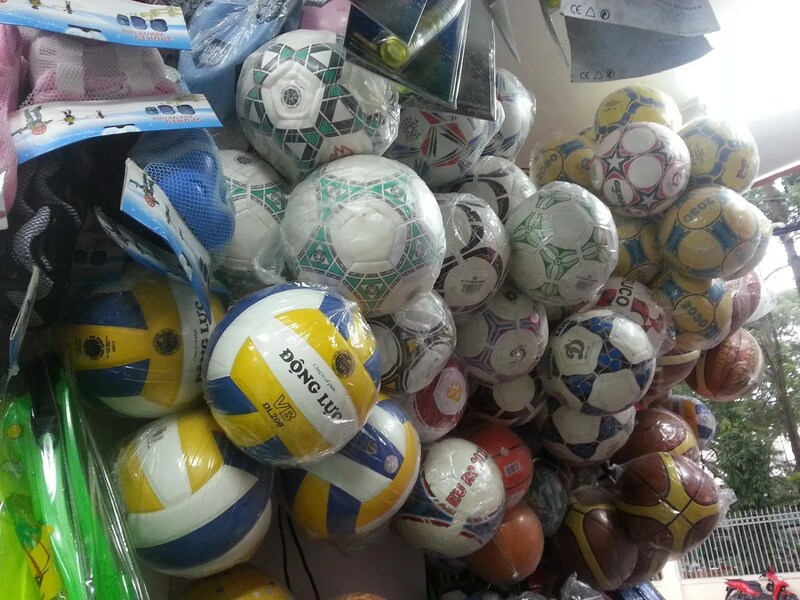 Sports Stuff Street | Hello Saigon! 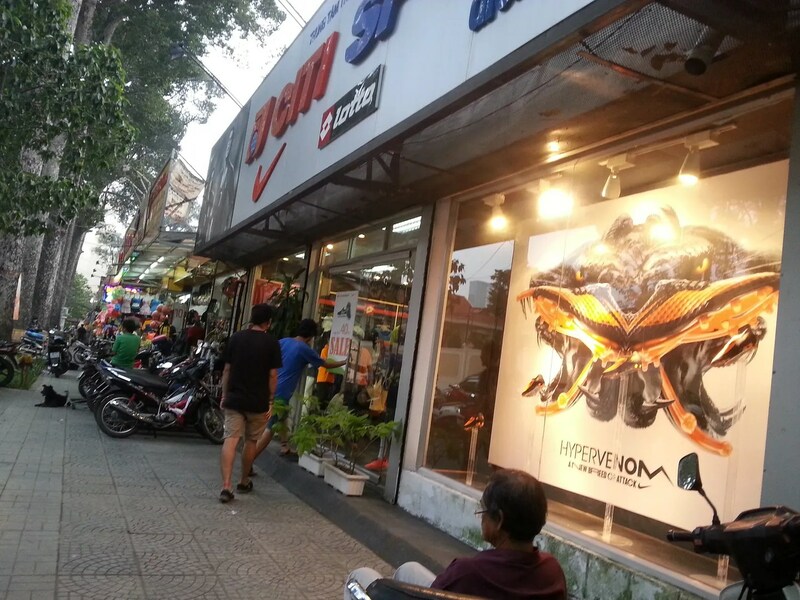 Behind the Reunification Palace in District 1 is Huyen Tran Cong Chua street, famous for sports equipment, sports accessories, and sports apparel. 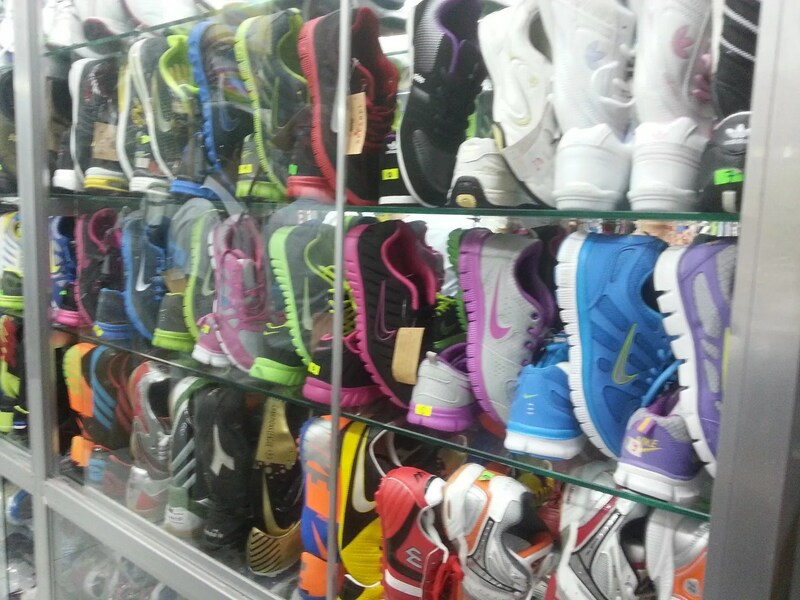 Nike has an outlet here. You can also find someone here to string your racket. Yoga mats, hula hoops, swimming gear, treadmills, exercise bikes, and scooters can be bought here. So far, this is where we got some biking apparel and accessories. 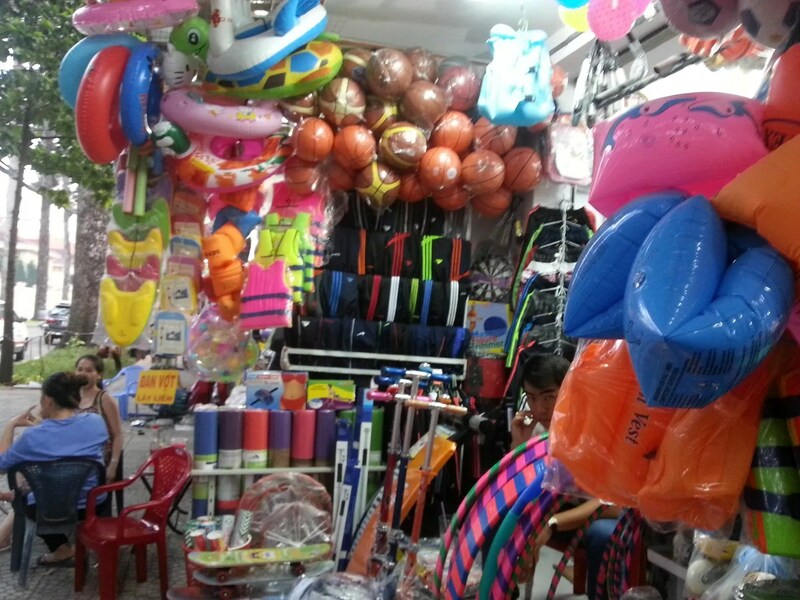 This entry was posted in Exploring Saigon and tagged Ho Chi Minh City, Huyen Tran Cong Chua, Saigon, sports accessories, sports apparel, sports equipment, Vietnam. Bookmark the permalink. 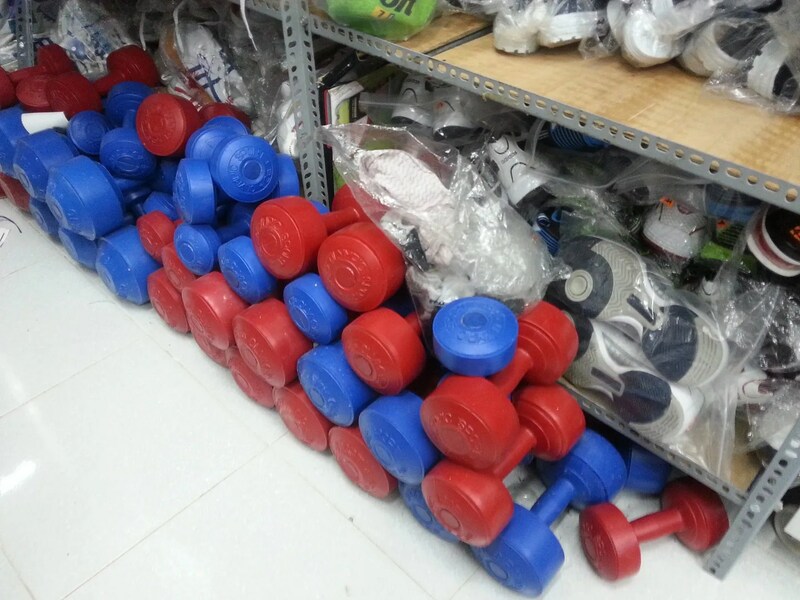 I can’t say how much i appreciate the random things you post from crafts and sport stores. It has proven very helpful as I am new here and do not speak the language. So Its been very helpful when i need to buy things.